You may have seen one of our famous purple trucks driving around the community and wondered what they could possibly be. Our purple trucks have become a part of our brand and our image. They are an important asset of who we are at Doggie Styles. Not only do they help us stand out, but they are an effective part of mobile pet grooming. 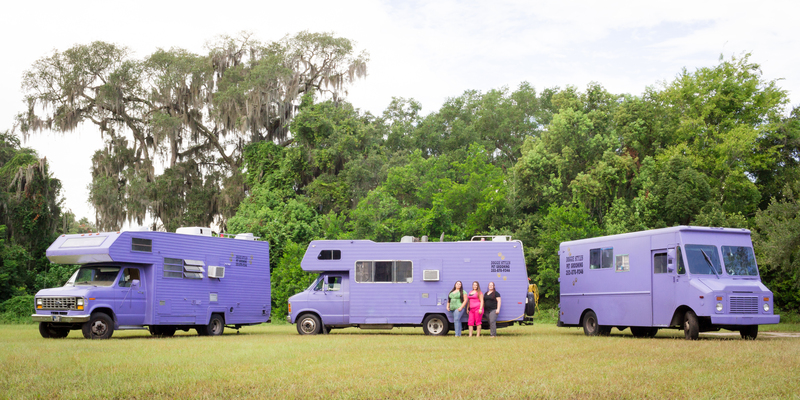 Mobile pet grooming is less stressful for you and your pet, and our purple trucks make each grooming appointment a little more fun. In addition, it means no travel for you! So next time you see a big, purple truck driving by – don’t be alarmed. Instead, give us a wave. We’d love to see you. Totally recommend for dog or cat ? Do Dogs Have Spring Allergies?